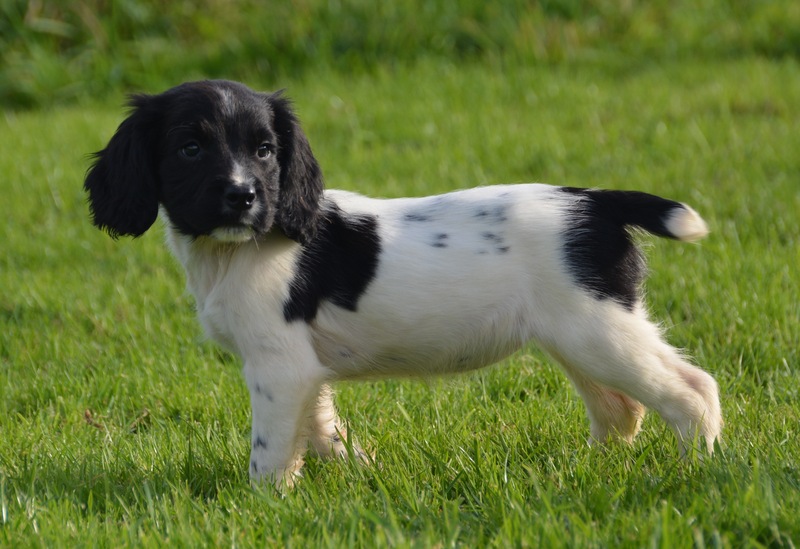 We have a litter of super pedigree working English Springer Spaniel Puppies available. They have lovely playful temperaments and are biddable and social. They have been played with and like to retrieve. The father is our Field Trail Champion black and white dog, and the mother is a liver and white working springer. We have our beautiful Brooke mated to Bracken with a litter of yellow puppies.